Update: Thank you for your Patience! 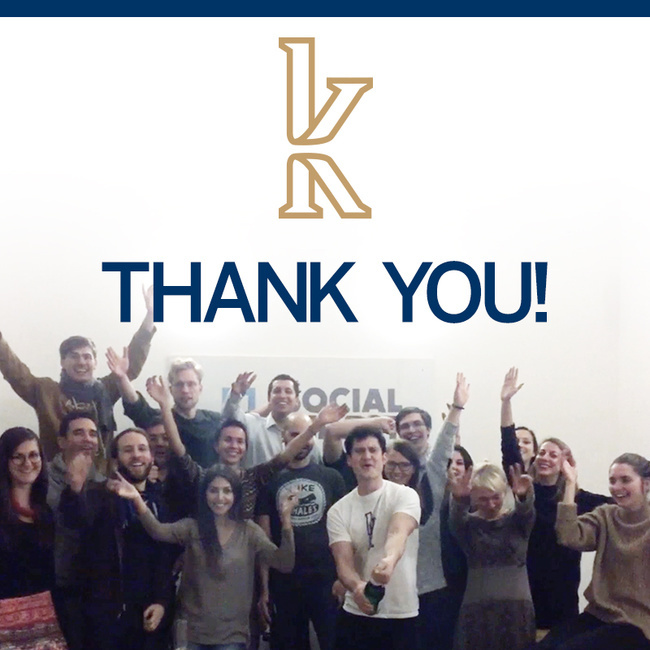 We want so say „THANK YOU“, with your help our crowdfunding campaign has been such a huge success! You make it possible that the first students start their bachelor-program and receive the support they need to study successfully.537,329 Euros – this amount has exceeded our highest expectations! As soon as we receive the money, we will be able to contact every single donor and provide the information and goodies attached to the respective donation. We would like to apologise for the delay and thank you for your patience in the meantime. Exciting weeks are laying behind us: We are now collaborating with strong corporate and public sector partners to supply hardware, software, and Internet access in different regions. Through the cooperation with educational institutions and decentralized “Learning Hubs,” we enable access to study rooms and exchange among students. At the same time we accomplished cooperations with language support providers like Babbel, LinguaTV and the language center Instituto Cultural Colombo Alemán (ICCA) to provide students access to multi-language courses to English, German, and other language courses. Moreover as you can imagine many displaced people have encountered traumatic experiences before or during their flight, which makes studying even more difficult for them. On this account, we are now offering students access to our student support services through Kiron emPower, where they have the option to receive psychosocial advisory and tutoring, as well as the opportunity to participate in our buddy and mentoring program. As soon as we receive the data from Start-Next, we will contact everyone who donated to our campaign with further information.